In a November 4 press release, the Centers for Disease Control and Prevention cautioned that Candida auris had been detected for the first time in the US in four states: New York, Illinois, Maryland and New Jersey. These results follow CDC’s Clinical Alert to U.S. Healthcare Facilities in June, which encouraged healthcare professionals to contact local / state public health authorities or the CDC when C. auris was suspected, and laboratory professionals to contact these authorities when isolates could not be identified beyond genus (Candida) level. On August 17, 2016, the New York State Department of Health sent an advisory to all New York State Healthcare Facilities. Tests commonly used in diagnostic laboratories are not adequate for the identification of C. auris, and thus can lead to misidentification. In fact, of the seven cases described in the Morbidity and Mortality Weekly Report, five were either misidentified or identified only down to genus (Candida) level and not to species (C. auris) level. This is of major concern, as the emerging pathogen is much more likely to be drug resistant, even multi-drug resistant, than other Candida species, so patients may not receive the treatment they need. In fact, four of the seven patients in the report died; however, all had underlying medical conditions, and it is not possible to say that the patient outcome was due to C. auris infection. 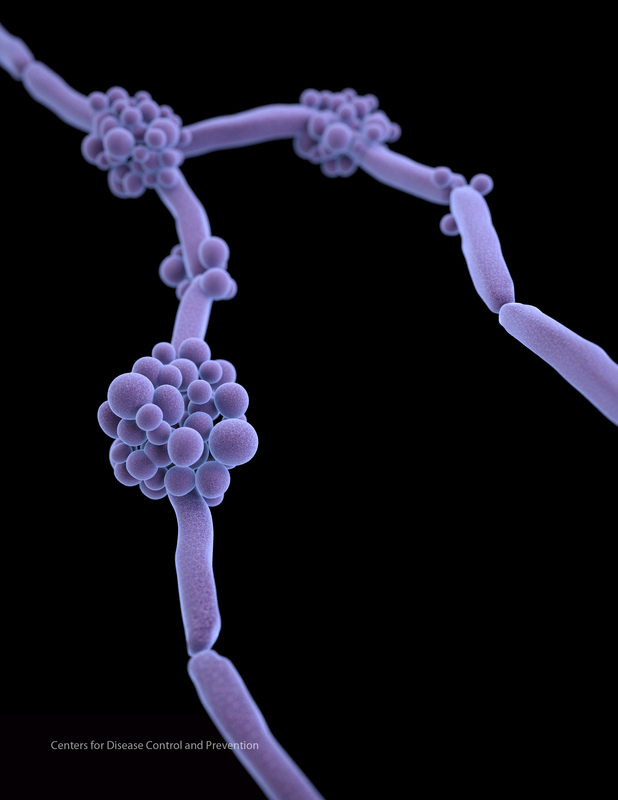 Subsequent to the report, several additional cases have been identified in New York, the majority of which were resistant to one or two classes of antifungal agents. Isolates from each were tested by Wadsworth Center’s Mycology Laboratory, a member of the CDC Antibiotic Resistance Lab Network, a group of laboratories which possess state of the art technologies for fungal identification and resistance profiling. Results of whole genome sequencing performed by the Centers for Disease Control and Prevention on isolates from the United States indicated that they were most closely related to those found in South Asia and South America. As all but one of the seven cases described in the report had not recently traveled, and none had traveled to South Asia or South America, transmission is likely occurring in the healthcare setting. In addition to the CDC and the Mycology Laboratory, the NYSDOH Healthcare Epidemiology and Infection Control Program and the Bureau of Healthcare Associated Infections are actively working to curb further spread.